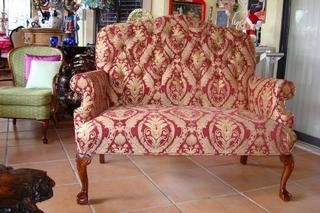 We have been in the upholstery business for over 55 Years. 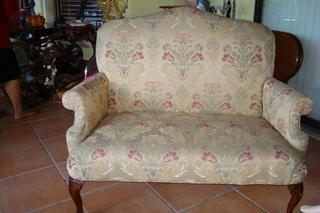 We upholster furniture for homes and businesses. We have been in central Florida for 42 years. My father had is own upholstery shop In Nutley NJ when I was 13 years old in 1947. My father had my brothers and me go to the shop to learn the trade. After I got out the Air force in 1955, I worked for several upholsteres and then I went to work for Burdines in 1959. I decided to work for myself in 1964 and have been doing that untill now. I moved to Orlando in 1974 and moved to Clermont in 2003. I enjoy doing upholstering and hope I can do it for as long as possible. My wife Marilyn works with me. If you have had your furniture for some time and wonder if it is worth recovering, think about what you paid for it and what it would cost to replace it. 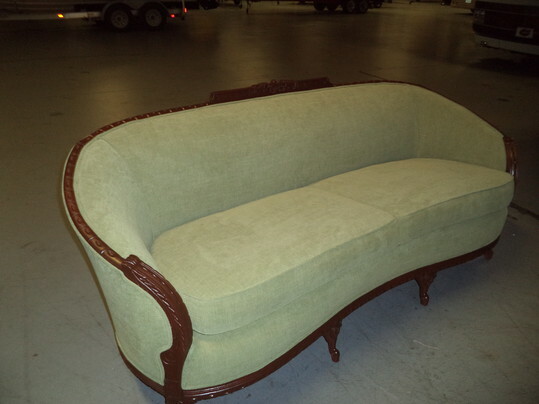 Depending on the quality of your furniture and if it is good furniture, then it may be worth while reupholstering. It would be less then what you paid for when you first bought it. If you would send a picture of what you need recovered to our e-mail brugolf@aol.com or to my Iphone 407 275 7207 with name and phone number.